Registration for Children Courses Started! The daily records began in Secretariat Group 10:00-13:00 & 18:00-22:00, while the first parts of the winter program will start training on Monday 3/09. 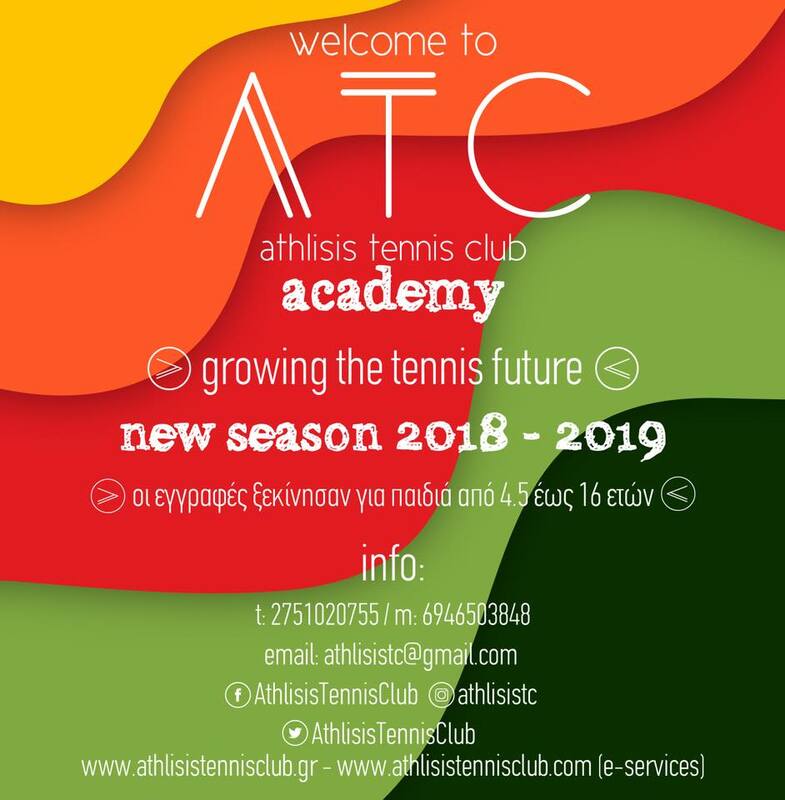 More information on our websites, by email or by phone at the group and the coaches of Athlisis Tennis Club! Welcome To The New Athlisis Season!